Is your Internet Service Provider ripping you off? Broadband in the UK has never been cheaper or faster, and more than half of UK homes now subscribe to a broadband service. That's the good news. The bad news is that over four million customers are not satisfied with their provider, and four out of nine companies have fewer satisfied customers this year than last. These were the headlines from Uswitch.com's 2008 Broadband Customer Satisfaction Report, and it can't have been pleasant reading for the UK's ISPs. 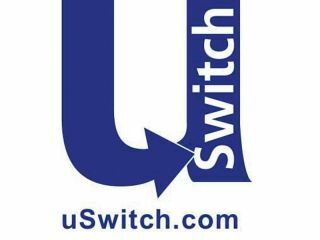 Uswitch found that reliability of connection, speed and value for money were considered important by 54 to 60 per cent of customers. Surprisingly, given the frequency with which poor ISP service complaints feature in this WatchDog section, customer service and technical support were only considered important by 12 per cent of the surveyed customers. Much more worrying were Uswitch's figures on broadband speed. Broadband speed is becoming increasingly important, given the upsurge in use of video streaming services such as the BBC's iPlayer. The standard advertised speed for broadband is 8Mbps, but the average speed actually achieved is more like half this figure. Seven million customers – nearly half of all broadband users – can only receive speeds of up to 6Mbps. These figures are reinforced by the most recent survey of broadband speeds, conducted by PointTopic. While a mere 1.2 per cent of London homes can't receive a 2Mbps connection, almost a third of Northern Irish, over a quarter of Welsh and a fifth of south-western households are in the same boat. The Government, in the shape of Lord Carter, has only pledged to bring a minimum of 2Mbps to all UK homes by 2012, using mobile broadband to fill gaps in other forms of coverage. However, it's not just speed that's a bone of contention for UK Internet users – download caps are another irritation. Many UK ISPs promise 'unlimited downloads' in their ads, but the small print invariably makes this subject to a 'fair use' policy, the details of which may not be clearly defined. For example, Virgin Media does allow unlimited downloads, but will throttle the bandwidth of heavy users. Only one UK ISP – the Sky Max service – offers completely unlimited downloads. According to Uswitch, just 22 per cent of the major broadband providers are transparent and advertise the true limits of their packages. It also found that over half of major broadband providers are still prepared to disconnect people who use broadband services to 'excess'. Since 2008, the Ofcom code of practice requires all ISPs to provide customers with an accurate estimate of the maximum speed that the line can support. Some ISPs, such as Sky, TalkTalk and O2, carry out a line test when a customer signs up to their broadband to check the speed they are actually capable of receiving. O2, to its credit, rechecks the connection once the account has been established and will downgrade a package if it can't achieve the promised speed. The code of practice also mandates that ISPs should resolve technical issues to improve speed and offer customers the choice of switching to a lower speed package when estimates given are inaccurate. It also compels them to provide customers with information on usage limits and alert them when they've breached them. In the early days of ADSL broadband, BT adopted a very conservative approach to broadband speeds. This was because ADSL was, and still is today, heavily dependent on the quality of phone line between the exchange and the home (the 'local loop', in other words). This local loop, a pair of copper cables in the ground, was only ever designed to handle analogue voice traffic, which has an effective bandwidth of about 3kHz. Successfully pumping a digital signal with 1.9MHz of bandwidth down it was little short of a miracle. However, any line defects, such as a poor signal to noise ratio, would manifest itself in a slower ADSL connection. Some places, most notoriously Milton Keynes, had cheap aluminium cabling installed, which resulted in very poor ADSL coverage. Although ADSL was capable of higher speeds, in 2000 BT conservatively opted for the lowest guaranteed to work with most local loop lines. To begin with, that was 512kbps. By 2005, this had moved on to 2Mbps. These were the speeds that you actually connected at, provided you were close enough to the exchange. All this changed in 2006 when BT announced ADSL Max. It abandoned the promise of a guaranteed connect speed in return for a higher but unpredictable rate. Your phone line was profiled to determine the maximum connect speed it was capable of. ADSL Max gave rise to the 'up to 8Mbps' speed promise. Theoretically you could get an 8Mbps service, but you'd have to live virtually inside the exchange. If you were a normal distance away, you'd more likely get a speed much less than the advertised maximum. While UK ISPs didn't actually misdescribe the 'up to 8Mbps' speed, they did fail to manage consumer expectations. Thanks to their advertising, consumers got the wrong end of the speed stick and expected to receive an 8Mbps service, a misapprehension that I'm sure ISPs didn't really mind. However, this has become a major factor behind low consumer satisfaction levels in respect of ADSL broadband packages.